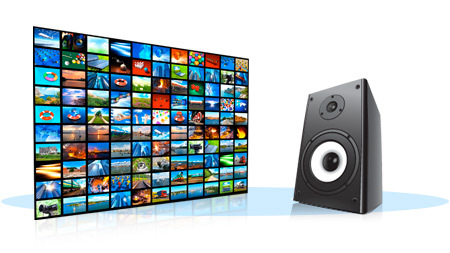 Raritan Audio Visual Solutions is where AV, IP, and IT meet. Raritan has been providing award-winning IP KVM, serial and remote access solutions for over three decades, and has five generations of products in operation at over 50,000 locations in 76 countries. 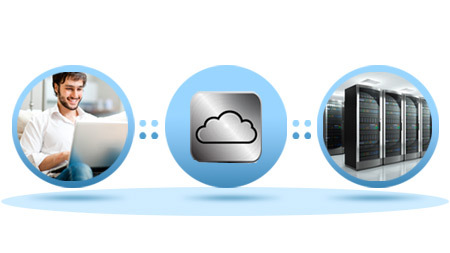 Leverage our industry-leading KVM, video and IP technology and expertise for your all of your AV needs. 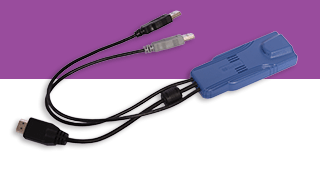 See our newest product, the RAV-IP Distribution System. Raritan’s AV-over-IP (RAV-IP) Distribution System provides economical, high performance video and audio streaming via HDMI video and audio, USB, IR and serial. 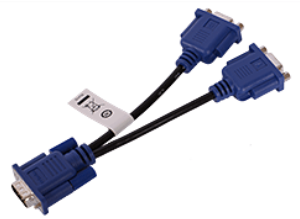 Use inexpensive Cat5/6 or long-distance fiber optic cabling. Integration with leading AV Control Systems. 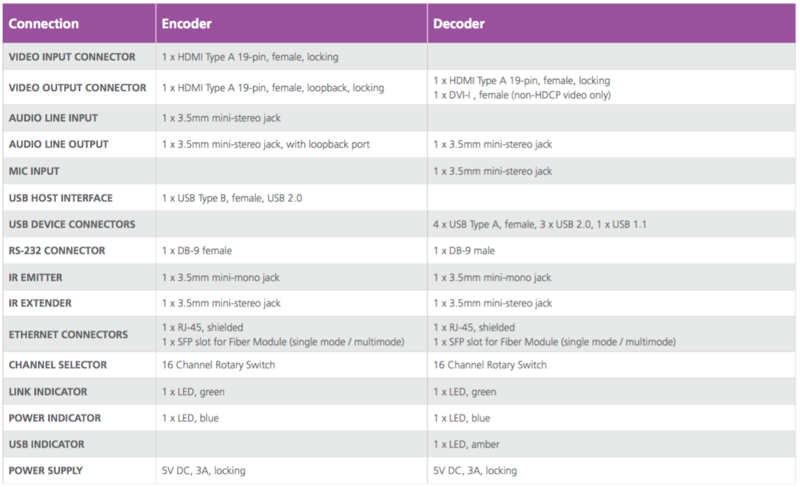 Use standard IP and Ethernet technologies to install RAV-IP’s encoder and decoder based system. RAV-IP automatically sets IP addresses for a quick and easy setup. Use our new configuration program for larger installations or for integration with AV Control Systems. 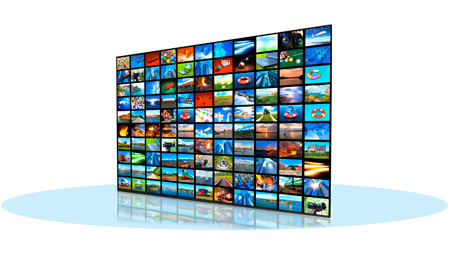 Enjoy beautiful 1080p streaming video at up to 60 frames-per-second with low latency and minimum bandwidth. Also supports 720p 3D and 1920×1200 formats. 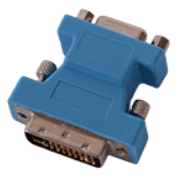 When you’re ready to expand, simply add more encoders and decoders and assign inputs to outputs – that’s it! 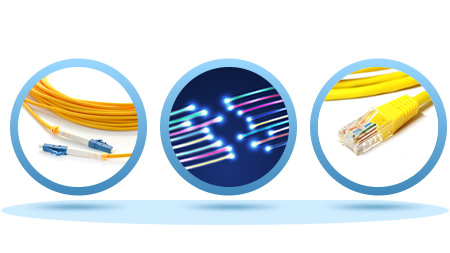 RAV-IP supports inexpensive and flexible Cat5/6 cabling, as well as fiber for longer distances of up to 10km! The KX III’s next-generation video processing capabilities support resource-intensive video applications in broadcast, government, military, security, financial, scientific, transportation, industrial, and utilities. 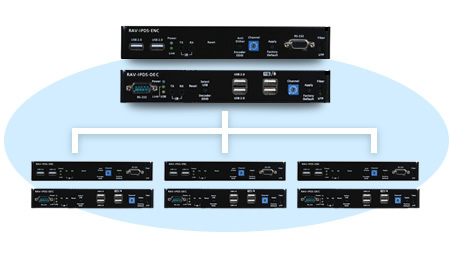 High performance User Station and ultra-fast connections/switching now available for broadcast, lab, studio or control room use! 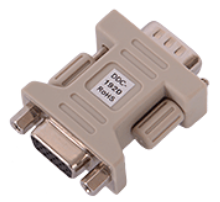 30 frames-per-second, 1080p or 1920×1200 video-over-IP (with audio) for broadcast and other video-intensive applications. 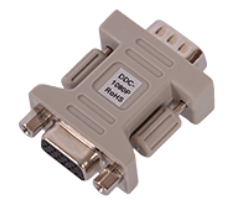 Get ultra-fast connections and switching with the DKX3-808 model. 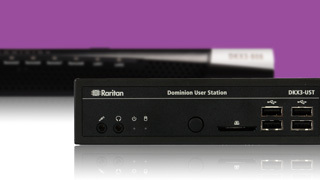 High performance User Station now available for lab, studio or control room use! Dominion KX III has the industry’s highest performing and most flexible KVM-over-IP technology. 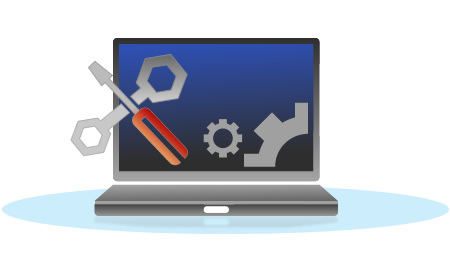 Users can access Dominion KX III from LAN, WAN, Internet, mobile & dial-up, allowing admins BIOS-level access to troubleshoot, reconfigure, reboot and power cycle servers remotely. 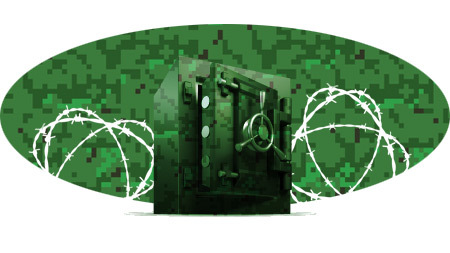 With Raritan’s Dominion KX III, you can meet government and military security mandates, including: AES & FIPS 140-2 encryption, Common Access Card (CAC) authentication, and IPv6 networking. 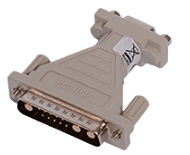 Raritan offers a full line of video-over-ip accessories such as adapters, converters, and splitters. 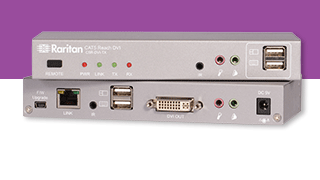 Raritan’s Cat5 Reach DVI KVM Extender provides 1080p HD video quality while enabling extended remote access to DVI and VGA ports on PCs, servers, AV devices or KVM switches. 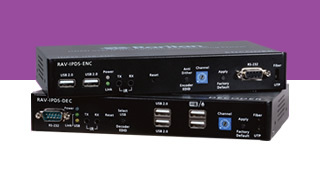 Dual console support enables local and remote control up to 500 feet (3000 feet via daisy-chained Ethernet switches or hubs) away from the remote device. Up to 1920×1080 high definition 1080p video resolution and video sharing to multiple receivers via Ethernet switches or hubs. 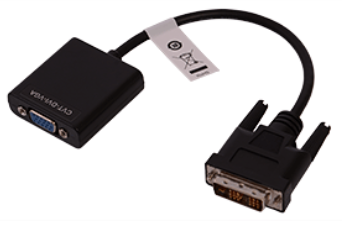 Cat5 Reach DVI with its support for DVI/VGA, audio, and infrared control (IR) can connect to your audio-visual devices such as monitors, DVD players, and video servers. 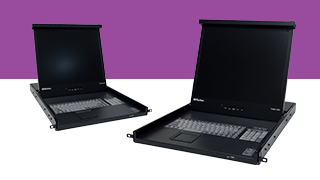 Raritan’s 17″ and 19″ LED-backlit LCD Console Drawers connect to your existing KVM switches, extenders, computers, and AV devices to provide video, keyboard, and touchpad functionality. 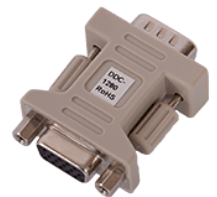 There’s widescreen support for DVI-D video input for high definition video up to and including a 1920×1080 for the 17″ model and 1280×1024 for the 19″ one. A crisp energy efficient LED-backlight LCD display reduces energy consumption up to 20-50%, over current LCD cold cathode fluorescent (CCFL) back-lit technology. The 1U modular design takes up to 85% less space than a full sized keyboard, monitor, and mouse and manages one or more servers at the rack. Both rackmount console drawers support DVI-D video input for high definition video, including 480P, 720P and 1080P. 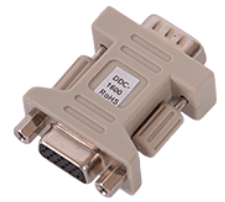 They also support standard VGA input.